Jyväskylä, Finland — Today at CES 2018, in Las Vegas, Suunto introduced the 3 Fitness as the latest wearable addition to their popular collection of precision sports instruments. Described as a smart fitness watch for active lifestyles, the Suunto 3 Fitness features an innovative approach to providing personalized training guidance developed in cooperation with leading physiological analytics firm Firstbeat. This new device marks the latest collaboration between Suunto and Firstbeat, who have been working together for over a decade, innovating and jointly pioneering cutting-edge fitness and performance technologies. 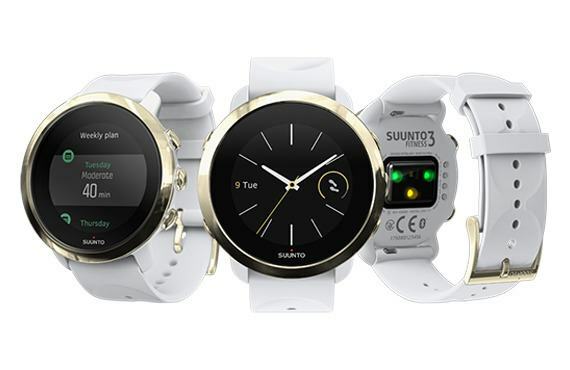 Onboard the Suunto 3 Fitness the integrated Firstbeat analytics engine scientifically transforms heartbeat data captured by the device’s optical heart rate sensor, provided by Valencell, into personalized information people can use to make better daily decisions. As a result, users benefit from automatic cardiorespiratory/aerobic fitness detection (VO2max), which allows them to see how fit they are, monitor changes, and gain motivation along the way. When combined with user training history, this vital personal fitness data also provides a scientific basis for personalizing training plans and other feedback. To help simplify training decisions, the Suunto 3 Fitness creates a 7-day training plan that automatically adapts based on your changing needs and activities. Miss a session, or go out longer or harder than expected? No problem. Your device understands and updates your plan accordingly. Sleep tracking takes a step forward with the Suunto 3 Fitness, where Firstbeat’s unique HRV-based recovery analysis unlocks the ability to assess sleep quality from a restorative perspective. Firstbeat is the leading provider of physiological analytics for sports and well-being. Firstbeat transforms heartbeat data into personalized information on exercise, stress and recovery. Hundreds of elite sports teams, wellness professionals, and millions of consumers worldwide trust Firstbeat to enhance performance and well-being.